Pride in STEM is a charitable trust run by an independent group of LGBT+ scientists & engineers from around the world. Proud of who we are and what we do. We aim to showcase and support all LGBT+ people in STEM fields. Pride in STEM is a charitable trust run by an independent group of LGBT+ scientists & engineers from around the world. Proud of who we are and what we do. STEM subjects (Science, Technology, Engineering, and Mathematics) seem to have low numbers of out LGBT+ people, both for personal or environmental reasons. By showing that not everyone working in STEM fits the same mould, we hope to challenge the general public’s perceptions of what scientists should be like. It is becoming more and more evident that embracing diversity, in all its forms, is vital for the future of the innovation that science, and the world, relies so heavily upon. As such, we’re here to share our voice as LGBT+ individuals in STEM who want to show that science is for everyone. Variation for every scientific nation! Pride in STEM works to highlight issues as well as strategies to bring those changes forward. 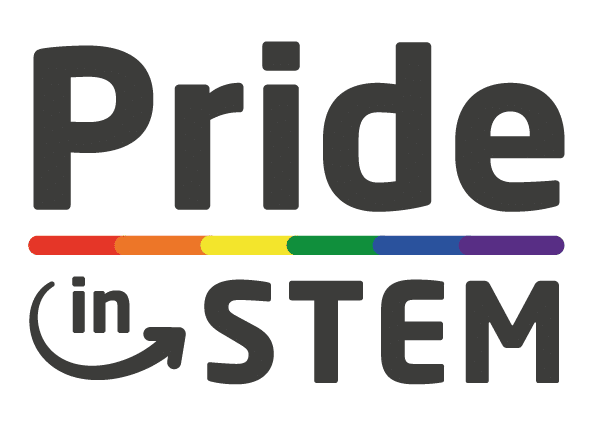 Pride in STEM is there to give a platform and support for LGBTQ people in STEM so they can be visible, as well as to provide a voice for those members of our community who cannot safely be publicly out. Pride in STEM is committed to support and deliver intersectional changes to STEM disciplines. Underrepresented groups might belong to different gender identities, have different gender expression, sexual orientations, ethnicities. They might have disabilities. They might belong to different socio-economic backgrounds. STEM needs to be accessible to all and all should feel that they belong in STEM. Pride in STEM is a small organisation run exclusively by volunteers. We are committed to constantly review our work, critically assess it and make changes. We want to make sure what we do has the widest impact possible. If you have seen things we can do better do let us know. And if you can spare the time, please get involved.